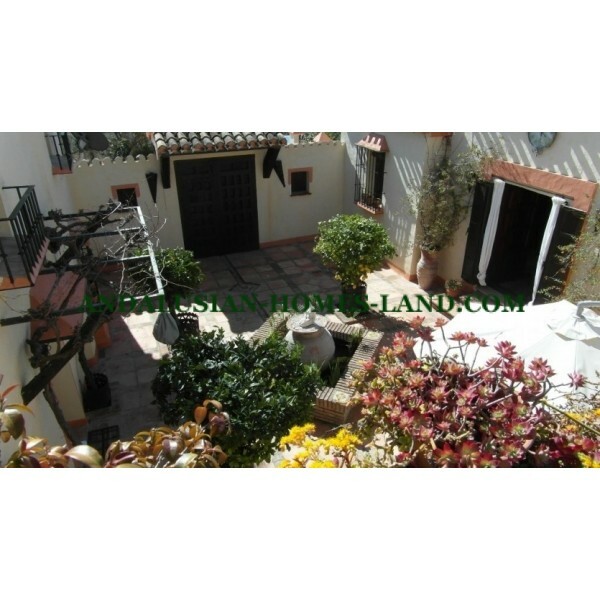 This property is more than 100 years old, it was once the oldest bakery in the area together with its accompanying farm, , consists of a beautiful 6 bedroomed house arranged around a Moorish patio with private garden. 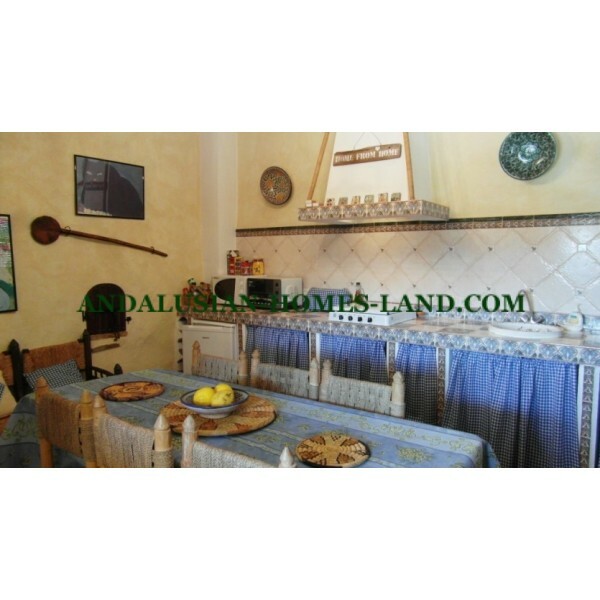 The property is fully renovated to an extremely high standard, preserving the character of the original buildings and adding attractive Moorish touches. 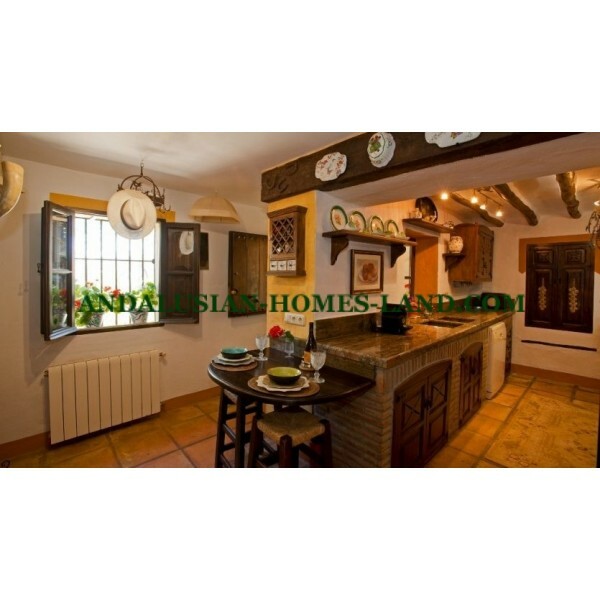 This property is more than 100 years old, it was once the oldest bakery in the area together with its accompanying farm, , consists of a beautiful 3 bedroomed house arranged around a Moorish patio with private garden. 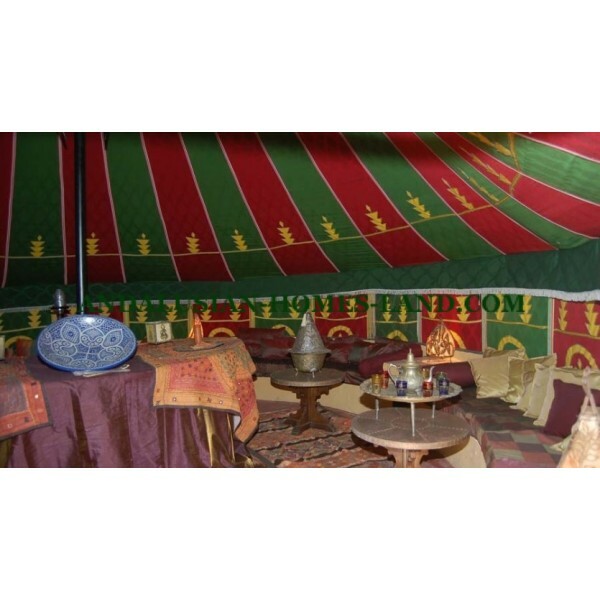 The garden also contains an authentic large and beautifully decorated Moroccan desert tent seating comfortably 20 people. 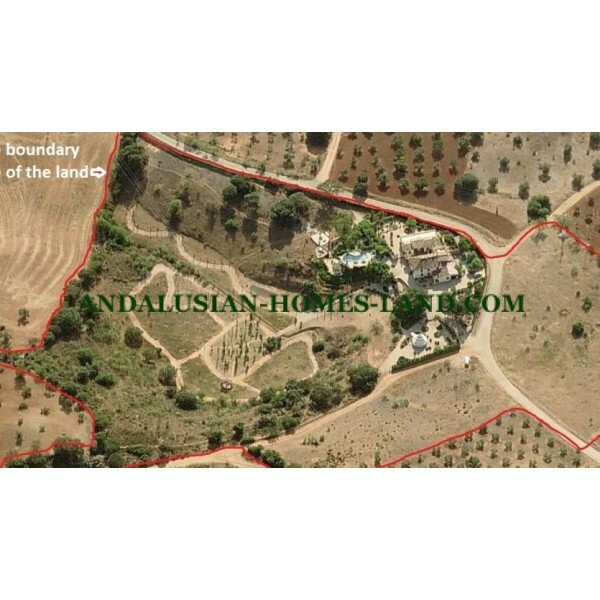 The property is fully renovated to an extremely high standard, preserving the character of the original buildings and adding attractive Moorish touches. The two properties are adjoining and there is a lockable connecting door at ground floor level, but they do not interfere with each other. Their respective entrances are on different sides of the building and the main house remains completely private even when guests are staying in the old bakery. 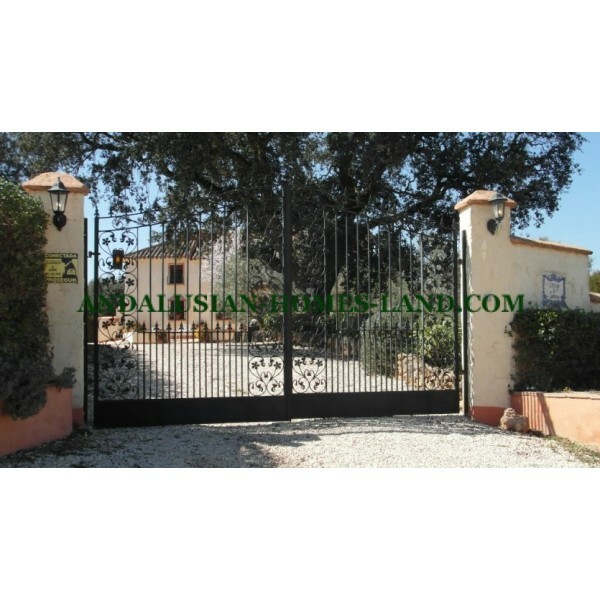 The main house is arranged as follows: A double antique door leads to a central courtyard with fountain and citrus trees, forming the heart of the house, around which the rooms are arranged. French doors lead to a lounge with big open fire place, a central reception area and a music and study area, which leads through to the formal dining room. From the central reception area there are doors leading to an extensive covered terrace with bar area and on to the private garden. At the other side of the courtyard is the hallway, which leads to the kitchen and to a beautiful bathroom. It leads to a further patio, with a decorative well, leading, via a covered terrace, to the garage and laundry area and to a spiral staircase which leads to the roof terrace. Off the kitchen there is a large library, which houses the staircase leading to the first floor, and also gives access to a charming study/double bedroom with exposed brickwork and beams. On the first floor, there are two double bedrooms, a dressing area and a marble bathroom. One bedroom boasts a balcony and the other leads on to a large roof terrace. 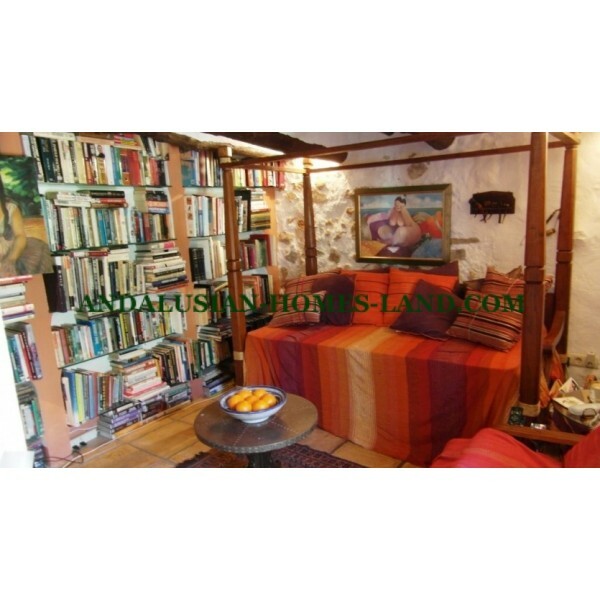 The Old Bakery is arranged: On the ground floor there is a large kitchen/diner with all amenities, a large lounge with an open fire place, a double bedroom and bathroom. 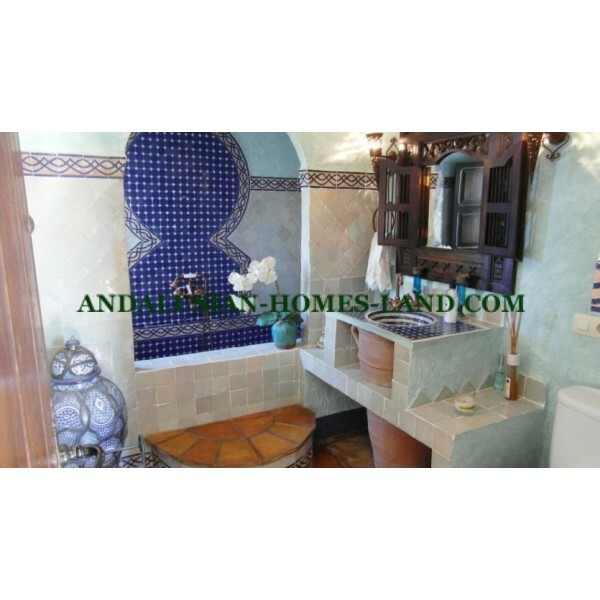 There are a further two bedrooms and a bathroom situated on the first floor. The property is set in formal gardens with a lovely infinity pool with surrounding sun decks and a terrace area with bar, outside kitchen and stone benches. 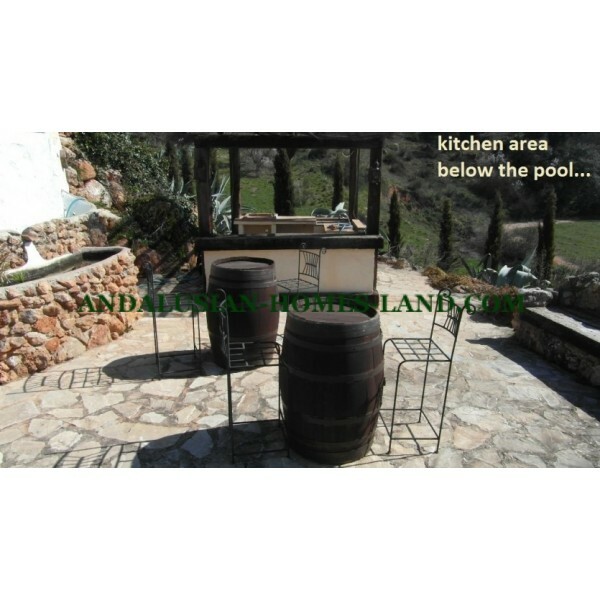 Mains electricity and water are connected and there is an 18.000 litres water storage tank which can be used both for domestic needs and to irrigate the gardens. Broadband internet is available. 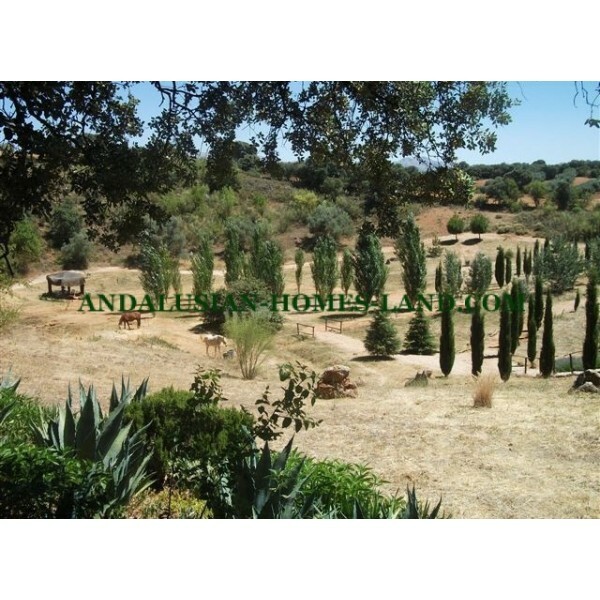 The property is conveniently located near the villages of Villanueva del Rosario, Archidona and Villanueva del Trabuco. 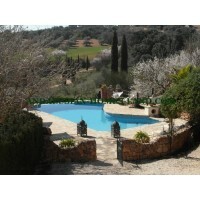 Malaga and the airport are only 20 minutes away.